I've decided to start a new series of posts called "Heart and Sole" Saturdays. I'm hoping that eventually this might become a link-up where other runners can share their Saturday races, or any post that involves running, including tips, gear, giveaways etc. 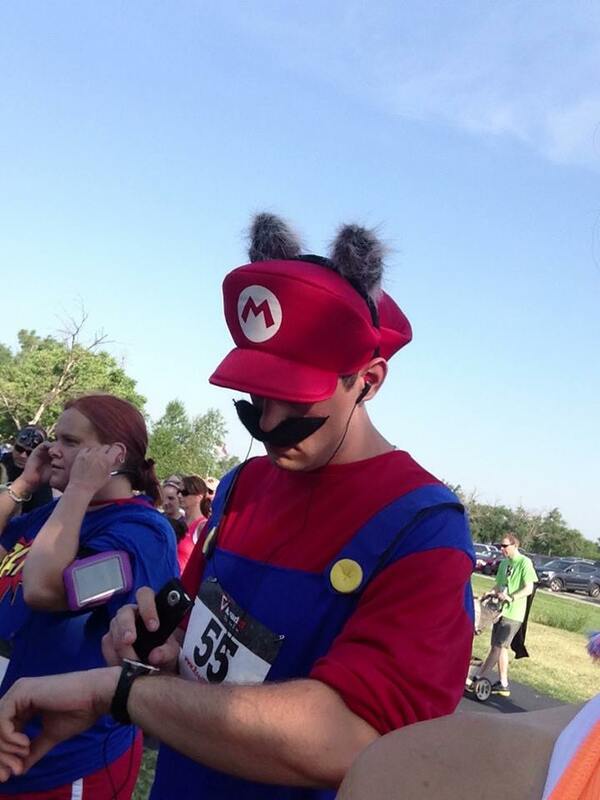 To honor the theme of the race, many runners dressed up in superhero costume, including Mr. Mario, whose picture I casually snapped over my shoulder before the race! The lady talking to Wonder Woman thought I was a girl named Holly. She actually asked at least 5 times, "So, you're not Holly? 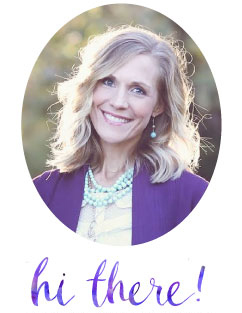 Do you know Holly? Do you know Holly's cousin Mandy? You should find Holly on Facebook, you are totally her twin." My favorite "costume" of the entire race. Superhero babes at the finish line to motivate the dude runners - Wonder Woman and Bat Girl. All of the race volunteers were super-kind, and very organized. I was impressed with how well the race came together, since it was IIDA's first time organizing it. As usual, I finished the race, grabbed a bottle of water and headed back to the car to zip home to the family. On my way, one of the volunteers caught up with me to let me know that I had finished 1st in the women's division! Woo-hoo! I won a $50 Visa gift card tucked inside of a koozie. You know which one of those will be put to use this afternoon! Did you run in a race this weekend? Way to go - you totally rock with getting out there to race and then winning!!! And, $50 to play with?! Go you!!! Thanks, Kim! It was a small race, and my time wasn't great, but it was a lot of fun anyway! Nice work. I too will have to agree that that kid has the best costume, he must really love his dad. Awesome. No real races this weekend, just our normal club run, which was a very tough course (like you have to walk part of it, it's that tough), happy with the time I got, didn't push myself as I'm saving my energy for next week's half marathon. Good luck at your 1/2, Matilda! I hope it's a fun race for you! Hi, Susan! I walked/ran a 5K on July 6. It was my second one ever - and the first one without children accompanying me! 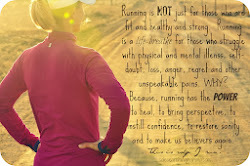 It is awesome to see how much you love running, and I am trying to start because I need to get in shape and I want that peaceful, me-time, too. I'm thinking about signing up for a half-marathon in September, but not sure if I have the guts to do it! Way to go, Laura!! You can totally do it! Let me know if you need any help with training ideas - I'd love to hear about your race plans! Comin' over to check it out!! Thanks for stopping by, and sharing your race re-cap with me!